Established in 1926 and based in Fareham, Hampshire, Lucketts Travel is a family owned business which provides luxury coach hire and first class holidays and day trips to tens of thousands of satisfied customers every year. 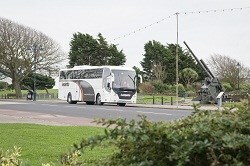 From small beginnings we've become the largest coach operator on the South Coast. Across our brands, we currently have over 380 employees, a fleet of more than 160 modern, luxury coaches, buses and people carriers and we're continuing to grow our business. 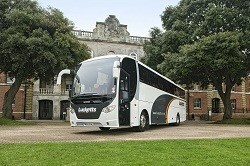 When choosing Lucketts Travel as your coach provider you can rest assured that you will be receiving first class service which provides safety, comfort and flexibility. Maintaining our vehicles to the highest standards is vital, not just for safety, but to enhance our passengers experience. Were determined to always exceed our customers expectations and we pride ourselves on providing a quality coach hire at a cost-effective price. Dont just take our word for it, take a look at our awards and accreditations or our Feefo Reviews. Aside from delivering the very best service to our customers, CSR is important to us and we operate a responsible, safe and efficient business, with a focus on our employees, the community and the environment. To see our insurances, operators licence and other certifications see our accreditation pack. 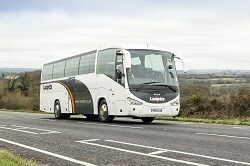 Find out more about our vehicles and their onboard facilities on our fleet page. Contact us today on 01329 823755, email sales@lucketts.co.uk or request a quote .